By now, everyone knows that “Famous” includes an infamous verse about the possibility of Kanye and Taylor hooking up because he made her famous. 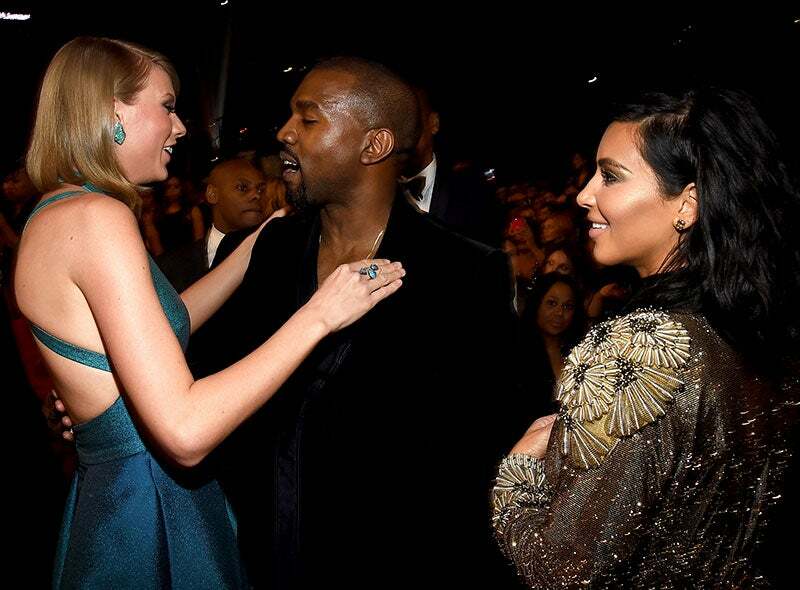 From the very beginning, Kanye claimed that Taylor knew about the lyrics, but she denied ever approving the lyrics. Her reps claimed that Kanye never played the song for her and Taylor even took a swipe at ‘Ye in her Grammy’s acceptance speech. Then, in a recent GQ interview, Kim revealed that there was footage of Kanye’s phone call with Taylor. The world has been waiting anxiously for Kim to release the video and last night she finally posted the footage on Snapchat. In the footage Kanye and Taylor talk about “Famous,” she seems cool with the song and even tells Kanye, “And you know, if people ask me about it I think it would be great for me to be like, ‘Look, he called me and told me the line before it came out. Jokes on you guys, We’re fine.’ You guys want to call this a feud; you want to call this throwing shade but right after the song comes out I’m going to be on a Grammys red carpet and they’re going to ask me about it and I’ll be like, ‘He called me. '” During their phone call Swift even admits that Kanye kind of did make her famous. Needless to say, Twitter went in. Moments after Kim released the footage, the hashtag #KimExposedTaylorParty began trending and all hell broke loose. Me: I don't want to pay attention to gossip/drama. It's not important and stupid.